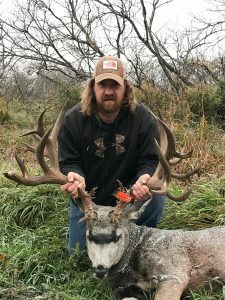 On Wednesday, January 9th, the Pope and Young Club convened a Special Panel of Judges in Regina, Saskatchewan for a potential P&Y World Record non-typical mule deer. Dennis Bennett’s enormous buck has a 5 by 5 typical frame with 15 abnormal points on each side with a gross score of 303 0/8. The buck was shot near the Arm River on October 1st, 2018. Measurers present at the Special Panel were Michael Halirewich, Glen Sellsted, Patrick McKenzie, and Eli Randall. With a final score of 291 1/8″, Dennis’s buck was confirmed as the new P&Y non-typical World Record mule deer. This buck surpasses the previous World Record non-typical mule deer shot by Kenneth Plank in 1987 by 16 and 2/8 inches. Dennis started early on the morning of October 1st in search of the big non-typical. Dennis got to within 44 yards when the big non-typical was startled by another smaller buck bedded close by. Dennis was not ready for a shot and watched as the bucks bounded away up the hill into some trees. Dennis returned later in the afternoon, giving the buck time to settle down. Soon Dennis spotted him close to where he had left him that morning. The buck was bedded in a small depression in buck brush near the top of the hill. The stalk was close to 300 yards, and the wind had changed which allowed Dennis to follow the fence line along the top of the hill and get within 37 yards. The buck was now standing broadside, Dennis ranged as the deer browsed with his head down. The shot was on a steep angle, and the arrow hit a bit high. The deer dropped in its tracks and rolled down the hill about 50 yards. This incredible animal has been entered into the 31st Recording Period–the biennium representing entries accepted into the P&Y Records Program from January 1, 2017, to December 31, 2018. 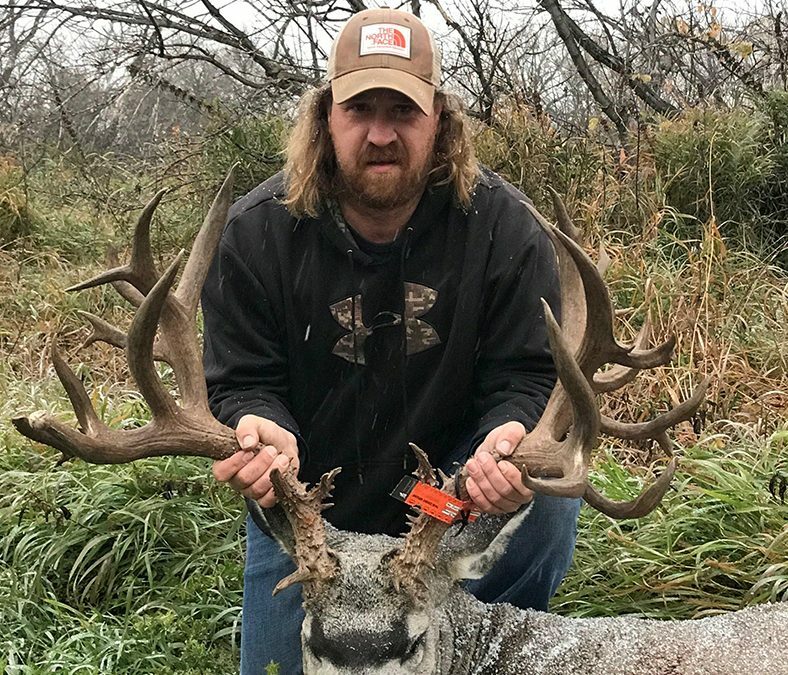 At the close of every biennial recording period, numerical awards and honorable mentions are awarded to the most outstanding bow-harvested animals in each species category that have been entered during this two-year recording period. New world’s records are verified and proclaimed, and awards are presented to these outstanding animals during the Pope and Young Club’s biennial convention and awards banquet. The Pope and Young Club is a non-profit North American bowhunting and wildlife conservation organization dedicated to the promotion and protection of our bowhunting heritage and values and the welfare of wildlife and habitat. The Club also maintains the universally recognized repository for the records and statistics on North American big game animals harvested with a bow and arrow. Congratulations Dennis! That is amazing, so proud for you. Awesome Dennis,i also am very proud of you,way to go.